Admiral M.M. Chopra worked with the Indian Navy in various capacities as Deputy Judge Advocate General, Director of Management services at Naval HQS, Naval Attache Paris, Assistant Chief of Personnel, Member, Expert Committee, Re-organization of Personnel, Structure of Armed Forces, Chairman, Pay Commission-Navy. 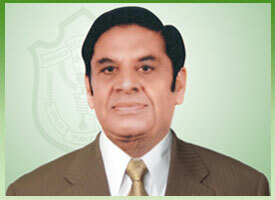 He has been Executive Director and Director on Board of Directors in Bombay Dyeing and Mfg. Co. Ltd. and Director on Board of Steel Strips Ltd, Steel Strips and Wheels Ltd, Indian Acrylics Ltd, Pan-Music Ltd and Bradco Ltd. He holds responsible positions in social organizations such as Member of the Executive Committee, Indian Council for Child Welfare, Chairman of National Bravery Award Committee and Chairman of Geeta Sanjay Memorial Public School at Ghaziabad. He is also Trustee of the Rural Rehabilitation Committee and the Chinmaya Mission. He holds the Chair in the Management for Indian Navy. Mr Kunal has been instrumental in bringing DPS to Abohar. He has keen interest in education and is the promoter of three K-12 schools in India at Jaipur, Karnal and Gurgaon. He has strong links within industry being the promoter of a Tier-1 Auto Ancillary Forging unit at Gurgaon. Kunal also runs a charity the Navyug Nirman Charitable Trust that works for the underprivileged in a number of areas. 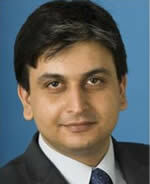 Kunal has a Masters degree in International Accounting & Finance from The London School of Economics. He is also a qualified Chartered Accountant from ICAEW in the UK and has worked for Pricewater House Coopers LLP for over 6 years in the Banking & Capital Markets Audit practice in London. Mr Nyman has a Master of Education and School-leadership program from Stockholm University.Kenneth has 25 years of experience from the Educational sector, both public and private schools as a leader and as an Executive Manager. He is also advisor and guest-speaker/teacher on the National School management program in Stockholm University. Kenneth has been part of the management team as an operational executive manager in Kunskapsskolan Education since the start in 2000. He was responsible for the start of 18 of these KED schools in Sweden and also works with Kunskapsskolan Education International Network, implementing the KED Program in countries such as Holland, UK, USA and Saudi Arabia. Sunitha as the Education & Project Director is responsible for the development of the curriculum and implementation of the KED program in Kunskapsskolan schools. She has been extensively involved in education and has over 18 yrs of experience in this industry. She has also authored books in Mathematics for the Primary grades. Prior to joining Kunskapsskolan Eduventures, she headed the Education Empowerment Initiatives, a professional development program for teachers at Educomp Solutions Limited.